We may change this policy from time to time by updating this page. You should check this page regularly to ensure that you are at all times aware of the current policy. This policy is effective from 30 March 2017.
if you have previously agreed to us using your personal information for direct marketing purposes, you may change your mind at any time by emailing us at info@topnotch.net.nz. You may request details of personal information that we hold about you, in certain circumstances set out in the Privacy Act 1988 (Cth). An administrative fee may be payable for the provision of information. 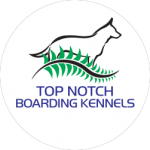 If you would like a copy of the information which we hold about you please write to 1162 Springs Road, Lincoln, New Zealand or email us at info@topnotch.net.nz. We will respond within a reasonable time. We may refuse to provide you with information that we hold about you, in certain circumstances set out in the Privacy Act.  If you believe that any information we hold on you is inaccurate, out of date, incomplete, irrelevant or misleading, please email us at info@topnotch.net.nz. We will respond to any request within a reasonable time and will endeavour to promptly correct any personal information found to be incorrect so that the personal information is accurate, up to date, complete, relevant and not misleading. If you believe that we have breached the New Zealand Privacy Principles and wish to make a complaint about that breach then please email us at info@topnotch.net.nz setting out details of the breach. We will promptly investigate your complaint and respond to you in writing setting out the outcome of our investigation, what steps we propose to take to remedy the breach and any other action we will take to deal with your complaint. We may use web beacons on this website from time to time. Web beacons or clear .gifs are small pieces of code placed on a web page to monitor the behaviour and collect data about the visitors viewing a web page. For example, web beacons can be used to count the users who visit a web page or to deliver a cookie to the browser of a visitor viewing that page.